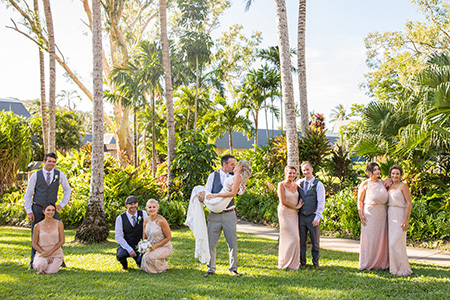 Brett and I met around 10 years ago in the coastal town of Yeppoon through having the same circle of friends. After 5 years of living our lives out of a suitcase, working a fifo life together, Brett decided it was time to buy me that diamond! In March some friends, my younger brother Brett and I went on a holiday to Bali, staying on an island located off Bali called, Gili Trawangan. The day he proposed, was just another day in paradise. I had no idea it would happen. Our friends and my brother were supposed to try and distract me, and send me swimming in the beach. Boy did I make it hard for them! I just wanted to sit on the sand and drink cocktails! The plan was our friends needed time to set up a rose petal love heart in the sand. Eventually, I agreed to a swim and headed out with Brett. When Brett and I got out of the water we started walking back up the beach towards our friends where we had a portable stereo set up (which I thought was just for our music for the day!) Brett had organised Bruno Mars 'Marry you' to be playing, he started to pull me into the love heart of petals that our friends had set up and I proceeded to say, 'what are you doing?' "This is probably for someone else" and kept trying to pull him out, before realising it was for me! He got down on one knee and asked.. I said yes! The day after the proposal, we were bike riding around the island and I said to Brett - let's get married on Hamilton Island! Brett said YES! 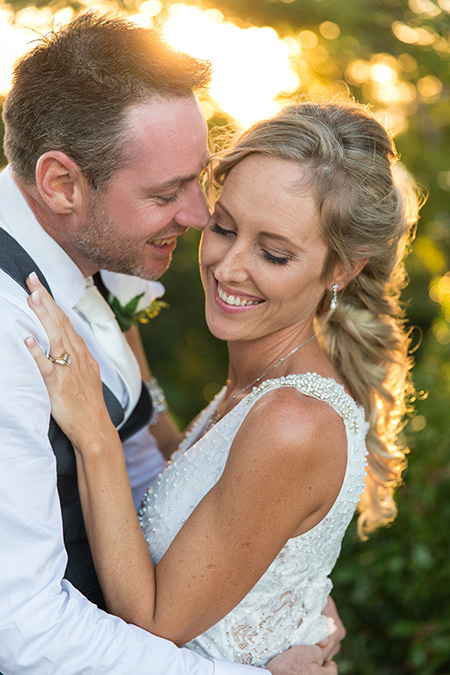 We were both so certain on a destination wedding and knew this location would be perfect. We arrived back in Australia a few days after the proposal and within weeks had set the date for 14 months time on our 6 year anniversary. Only sic short weeks into the planning, we were blessed with a massive surprise finding out I was pregnant! 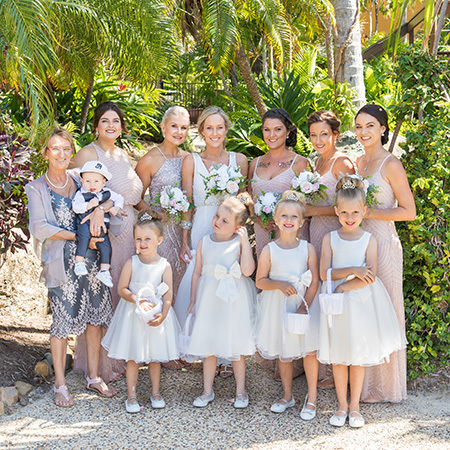 We were now not only planning a wedding but expecting our first baby and apart from the standard bridesmaid duties most of the planning was done by us, what a massive year we had! I really enjoyed planning our big day, but I did say to Brett "don't ask me to marry you again" cause I'll say no! Haha, it really is such a big job! We kept the tradition of sleeping apart the night before and not seeing or talking to each other until the ceremony. 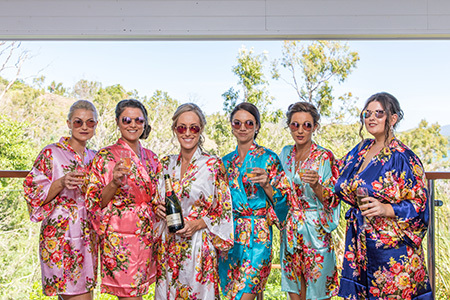 Brett stayed at his Dads accomodation with his spunky groomsmen and I stayed in our accomodation with my beautiful bridesmaids. 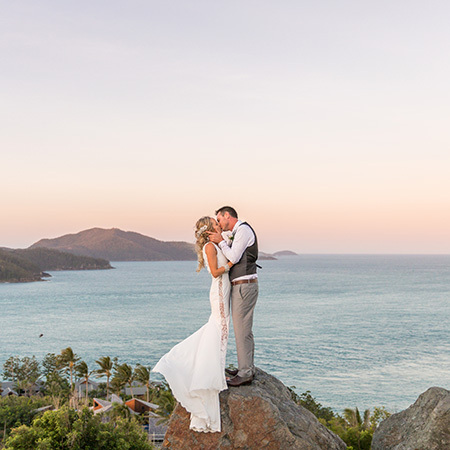 We woke in our mansions to blue skies in the Whitsunday's! That being said, we were both happy and extremely excited our day was finally here. I'd be lying if I said there no nerves though! 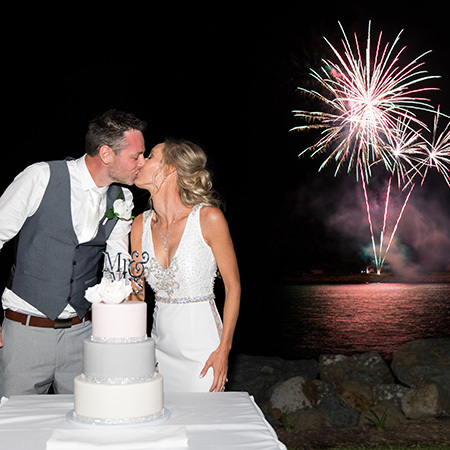 Our day was perfect - breathtaking location, incredible food, stunning weather, a rocking band and our very own fireworks show! With 75 amazing guests to share it all with, it made that more perfect! 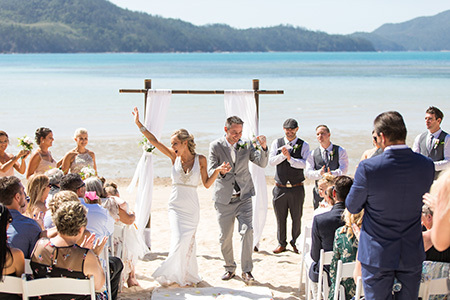 We wanted something simple for the ceremony as the natural backdrop of Catseye beach was beautiful enough. We had a bamboo pew with floral decorations and an iPod for our music. My mum and son, flower girls and bridesmaids walked down the aisle to 'just the way you are' by Bruno Mars followed by me walking down to 'marry you' by Bruno Mars. The atmosphere was fun and beautiful! 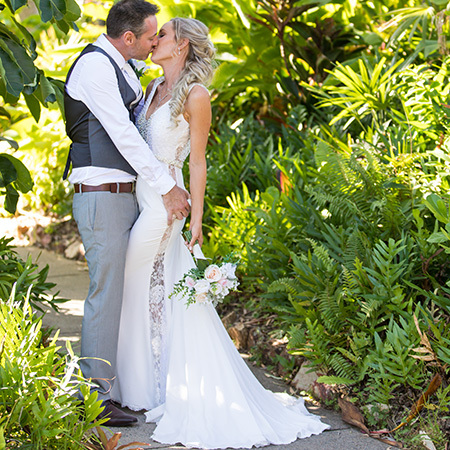 It was a glitzy reception held in the Outrigger Marquee on Hamilton Island. We had the traditional speeches followed by a special request to do our cutting of the cake outside on the lawn so we could surprise our guests with our fireworks! 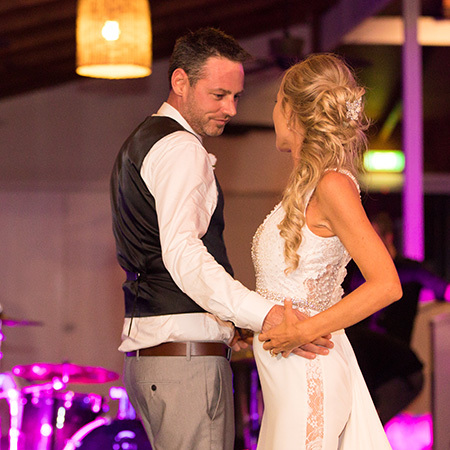 The service and food was outstanding and our rocking band really brought our dance floor to life! 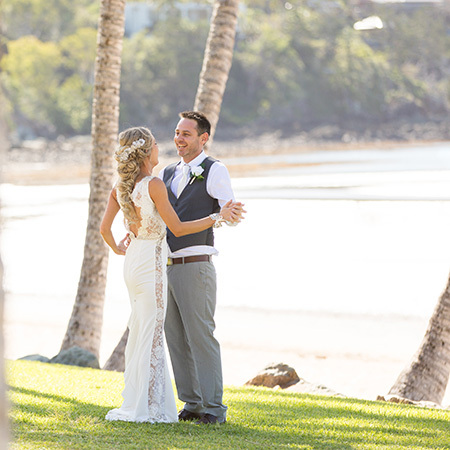 We were already in paradise so we decided to continue our stay on Hamilton Island for our Honeymoon. 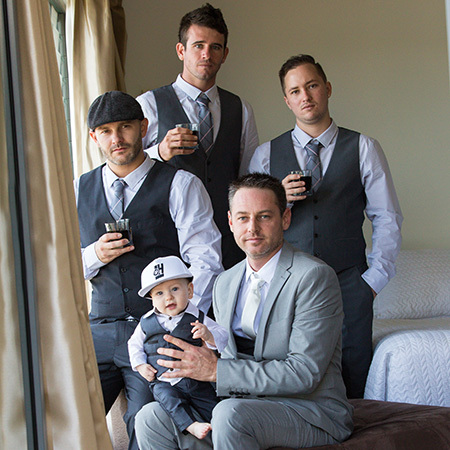 Having our 8 month old baby boy Nate with us made it hard to feel like a real honeymoon! But we did what we could and ate out every night, swam, drank, got a massage and relaxed when we could! Have your ceremony earlier rather than later. We had an early ceremony of midday and absolutely loved having it at this time. It left lots of time for photos and extra time to spend with our guests. Enjoy your day and remember what it's about, don't sweat the small things! 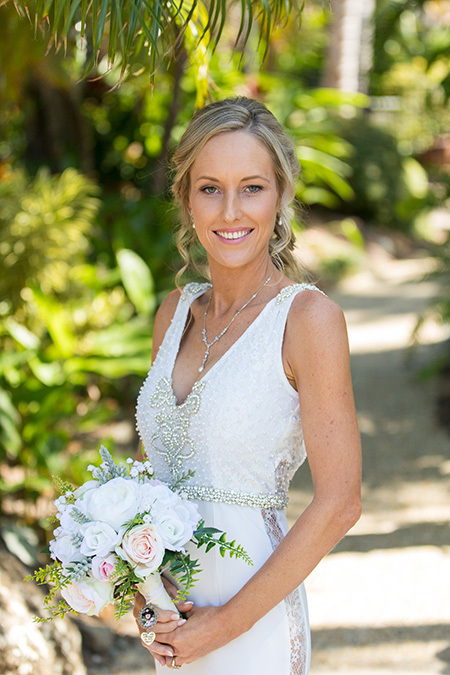 Do thorough research for a photographer and don't forget the videographer - they are well worth it! 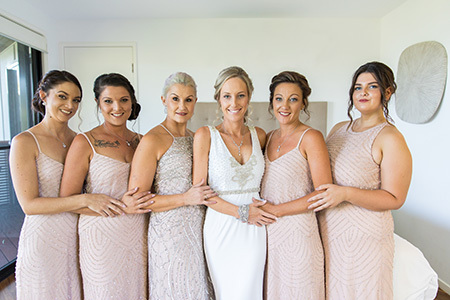 If I had my time again, I would make sure I had a list for the photographer of particular photos we wanted captured and I would get a hair and make up trial prior to the day.